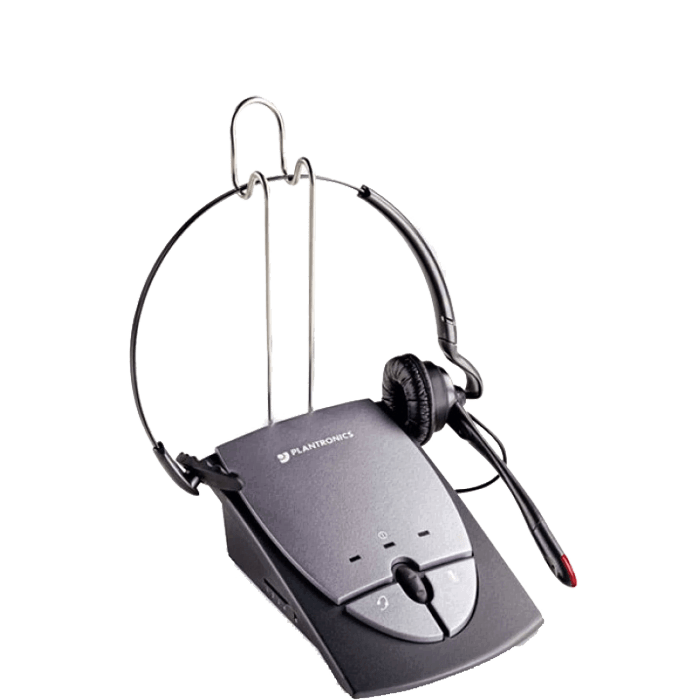 Plantronics S12 Headset System - Headsets Direct, Inc.
Plantronics’ S12 Telephone Headset System offers hands-free convenience and comfort. 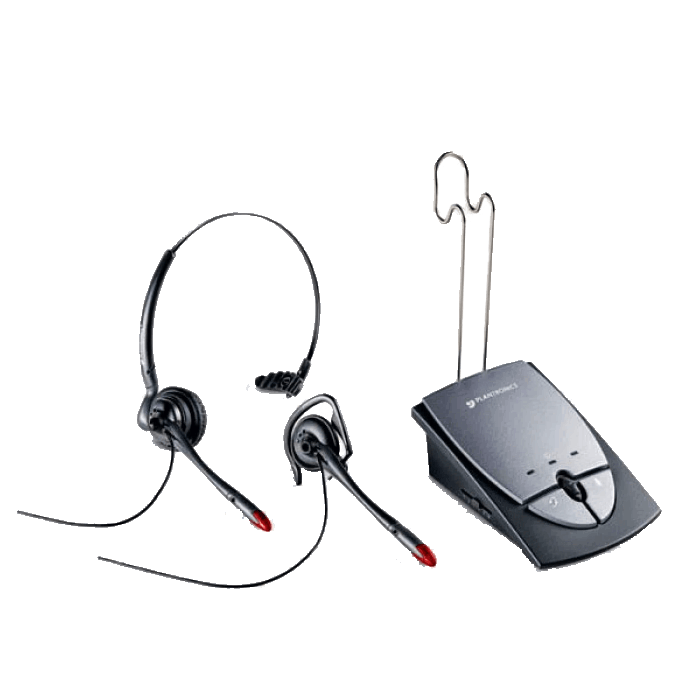 Includes a 2-in-1 convertible headset for over-the-head stability or over-the-ear convenience, a noise-canceling microphone for superior sound clarity and the Firefly in-use indicator light that lets others know you are on the phone. 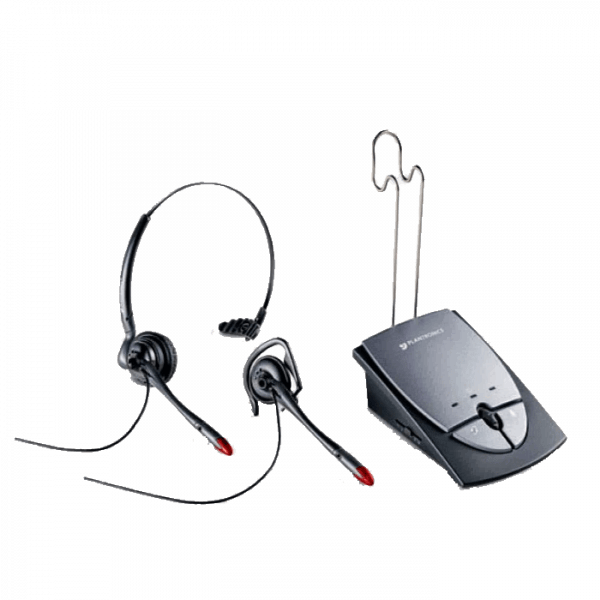 The Plantronics S12 is ideal for home uses which need to make occasion calls to friends/family and would enjoy hands free communication. Used you for years – love this set – would not change a thing. No handset lifter available. Major downside. This is a good headset. The only thing I would change is you cannot block out the outside noises. 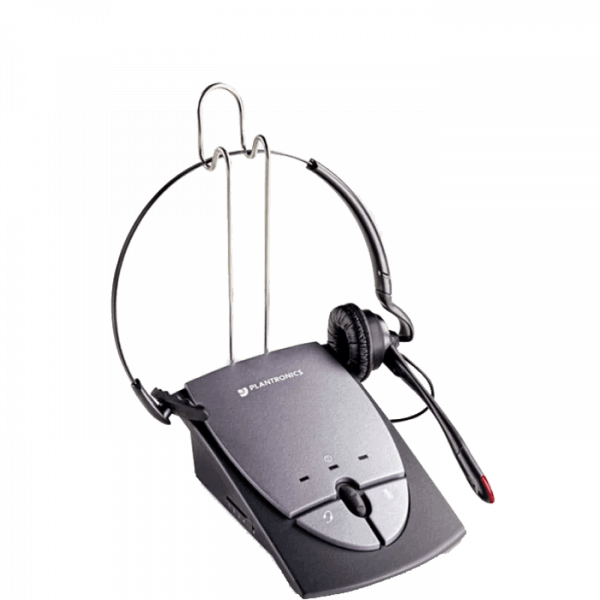 Headset is easy to use and has a clear quality sound. This is a replacement for a Plantronics unit that I had used for 10 years. 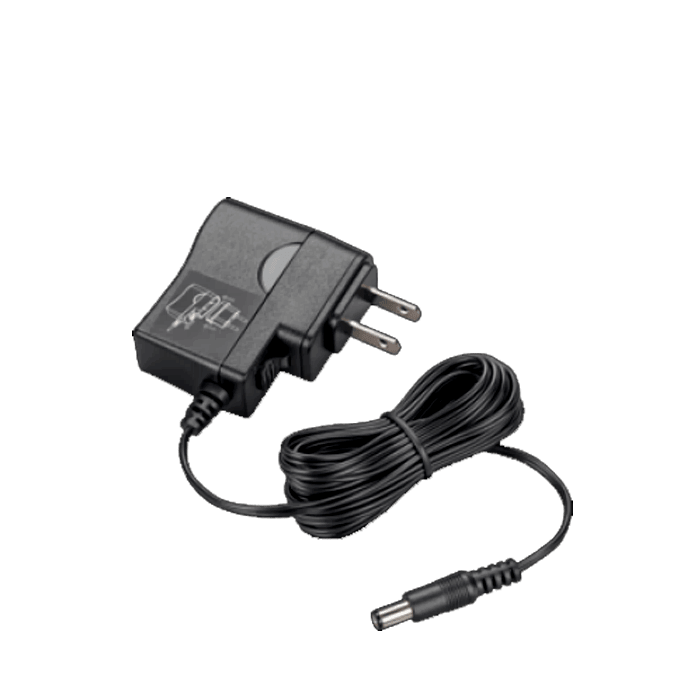 The console is easier to access and the use of a transformer for power, instead of batteries, is a great improvement. I love the quality and convenience of the headset. 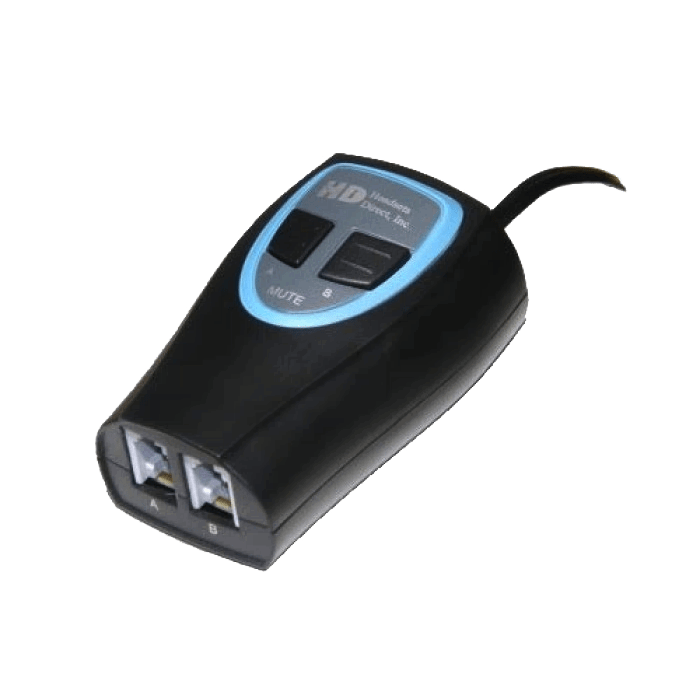 The unit is great however you have to pick up your handset on your telephone to answer, this is not a good thing if you work from home on the phone. There is no button to push in order to answer the phone via the S-12 unit. This is a major downside of this unit. And its not divulged in any of the ads. 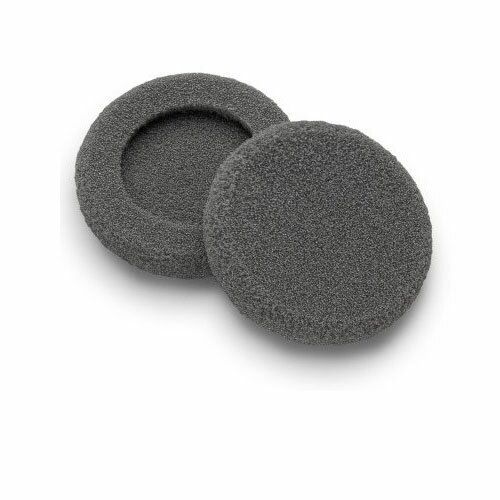 The headset works fine, but when using the ear piece alone, its doesn’t feel secure.